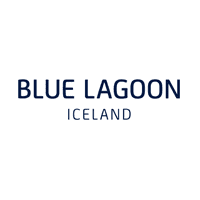 Founded in 1992 to expand the dimensions and unlock the benefits of geothermal seawater, Blue Lagoon has evolved into a company that is focused on transformative spa experiences, research and development, skin care, sustainability, culinary enjoyment, and the convergence of hospitality and wellness. Located in the heart of an 800-year-old lava plain on the Reykjanes peninsula, the company, in all its manifestations, seeks to unify the manmade and the natural. Originally based upon a single entity—the Blue Lagoon—the company now operates a 35-room hotel, a restaurant, a thriving R&D center, and a renowned line of skin care. With societal uplift as one of its core mandates, all of Blue Lagoon's concerns are powered by sustainable energy and guided by four values: We create memories; We care; We respect; We bring joy. In April last year, the company completed a significant expansion, opened a 62-room luxury hotel, a subterranean spa, and a second restaurant, all of them encircled by geothermal seawater—the original source of wonder. Our Blue Lagoon team has diverse educational background such as in Business, Marketing, Hotel Management, Hospitality, Psychology, Engineering, Project Management, Public Relations and IT. We also employe a number of Chefs, Waiters and Bakers in our resaurant and Massage Therapists are working in the spa. Blue Lagoon is known worldwide, appointed as one of the „25 wonders of the world“ by the National Geographic in 2011. Our training aims to expand competencies and capabilities, thereby cultivating self-confidence. Whether you choose to grow with us or start with us and grow elsewhere, Blue Lagoon will be a great milestone for your career.